Please e-mail me your full name and address to IHaveANotion@yahoo.com and I'll ship your Spirit of the Bear Snap Sack to you. You only have a week to e-mail me or I'll choose another winner. Do you remember the Where in the World ....Day 3 blog post? Yes....when I took a nap with some beautiful Batiks at Island Batik Fabrics. I promised to give away some of the sample rolls to those who left comments on that post and an additional chance for "Liking" the Island Batik Facebook Page. Congratulations Patty D from NC! Thank you to all who were so kind to leave comments! You know me....there is always more to be given away....so stay tuned. Where were we?...Oh yeah....Who are these folks? I got lots of funny replies to that question. My favorite was....these people were the owners of a dance school. Nope...not as far as I know anyway! They are Robert and LeDorna Eichenberg, the founders of Ellison. While in Southern California, SewCalGal and I were fortunate enough to get a tour of Ellison's Headquarters. You may be more familiar with Sizzix, Ellison is the parent company of Sizzix. I had goosebumps as I pulled up out front...no kidding. I get very excited when I'm passionate about something and I sure am passionate about Sizzix Cutting Machines and Dies. So much so in fact, that when the Vagabond arrived on my doorstep, I immediately shot a video using it and I had never done a video before. If you have not seen my entry into the video world...you can CLICK HERE to see my less than perfect video. I enjoy seeing where the people I see at Quilt Market work and getting a glimpse into their world. We met with Linda Nitzen, Ellison's Sales & Marketing Quilting Manager. We had met in Houston so it was wonderful to see her again. The only photos I could take were in the Lobby....so here are some fun shots of the Ellison Headquarters Lobby. 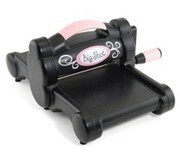 Sizzix Big Shot Pro with Extended Tray - great for the long strip dies for quilters. Being an owner of all of the Sizzix Cutting Machines I can tell you that they all work equally as well and are very sturdy. I tell people they were built by "Tonka. "* They machines don't tilt, flip or wobble. 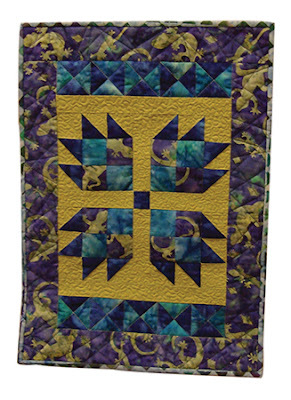 Even though they have been building these machines and dies since 1977 and are huge in the Education and Crafting communities, they are relatively new to the Quilting Community. Their dies cut paper, chipboard, tin, foam, felt, thin magnets, metallic foils AND fabric :) Something else that I really like is their warranties. The Big Shot and the Big Shot Pro have 3 year warranties and the Vagabond has a 1 year warranty. I've had to deal with many companies customer service departments since I've been in business and I must say I've always been very pleased with the speed and service I've received from Ellison's customer service. The contact I've had with customer service has never been about a faulty die or machine. The contact was about a handle that was broken by the owner during a move and Sizzix replaced it for free...including the shipping, without a question asked. I have moved my Big Shot so many times that the little rubber feet that suctioned to the table fell off. (I have an older model and the feet have been changed on the newer models). I told Sizzix about what I had done and they replaced the feet immediately. The tour was so much fun. I was able to see where they shoot their videos and let me just say their video taping area is light years nicer than mine...LOL. I saw some artists and designers working on creations, a library of dies and all of the wonderful machines made by Ellison. I'm telling you I could have stayed all day long but I don't think my family would have appreciated that very much. Oh yes, and I was able to see some new products that will be debuted at the Fall Quilt Market this year. I gave them my word that I would keep everything I saw a secret so don't even think to try to bribe me with cars, boats or vacation homes....my lips are sealed!! What I can say is that I think folks will really like what is coming out in the Fall. *Tonka...when I was growing up people would refer to something that was well made as being built by "Tonka" as in Tonka toys. The rumor about me falling off the face of the earth is just plain not true!!! We arrived home safely on Saturday night :) Sunday I had to get the boys supplies for school ready, hair cuts etc...and I came home with a nasty sinus thing (yucky crud). I had all those orders that came in while I was out and about having the time of my life, a Dr. apt....and my in-laws arrived today.....SOOOOOO...that is why I didn't get back to that post about who those folks in the photos are. Trust me...I'll get there ....ya just have to have a wee bit of patience with me. Leaving on a jet plane...don't know when we'll be back again....la....la ....la. Trust me, you'll be so glad I typed those words and didn't record them with my own voice for your listening pain! I have another day of amazing travels to share with you....but I'll be on a plane today...so it will have to wait until my return. With my luck one of you are related to these people or are their neighbors....LOL. Oops...I missed a day! I guess that can happen when ya fill your days with so many activities. Lunch at Nick's favorite Mexican Restaurant, La Villa in Gardina, CA. After lunch, Nick took us for a tour of SpaceX (Space Exploration Technologies) , his place of employment. For those of you who don't know, SpaceX is the first privately owned company that designs, manufactures and launches rockets and space crafts into space. The only way I can describe my experience at SpaceX....is complete and total AWE! I think my mouth was partially open the entire time and my eyes were sparkling (I had tears in my eyes often and goose bumps too). There are only a few other times in my life that I've been in AWE of the things that humans have made/achieved.....at Kennedy Space Center ( NASA) in Florida, and my visit to the Louvre in Paris. We stood right next to the Dragon Spacecraft, the first privately owned vehicle to return from space. The Dragon docked at the International Space Station. The experience of just seeing it was "out of this world." I feel incredibly lucky that we have a family member who has the privilege of working on these rockets. Since Elon was one of the a co-founder of PayPal, I assume he has some friends that are still with PayPal.. You know if I ran into him I would have most certainly asked to have an Executive PayPal account with all fees waved for my lifetime :) :) :) (Yes....I'm just so bold....crazy....off my rocker....LOL) Here is a link to Elon Musk's Facebook page...don't you think a ton of quilters should Like hime? I do....how fun would that be? Krista wants a table runner and I wanted her to show me some fabrics that she would like. SewCalGal told me there is a store in Anaheim that has a very large selection, M & L Fabrics. After our SpaceX tour, we headed to M & L.
Everywhere you look, fabric....I mean lots and lots and lots of fabric of all types and varieties. I think there was enough quilt quality cotton fabrics to make thousands of quilts....honestly. I was especially tickled to see all the different types of fabrics....I loved the ones above! How fun would some of these fabrics be added to a wall hanging or added to home decor? I think there is something for everyone in that store! I didn't have the heart to change the title of these posts....even though everyone knows where we are...am I silly or what? 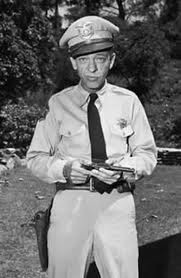 Before I tell you what we did yesterday, I want to tell you where I wasn't this past Sunday and Monday. Yesterday was spent in Santa Monica and we walked through the 3rd St. Promenade. It seems like I'm always trailing behind....usually because I stop to take photos and also because I stop to speak to people. This time I had stopped to tell this lovely woman how beautiful she was and that she was courageous to do what she is doing (she dresses up and goes down to the Promenade to entertain visitors and supports herself with the donations she receives). Look at her eyes...I knew there was an amazingly beautiful person...with and without all that pretty makeup. She allowed her friend to take our photo and I was honored...she even gave me a hug :) Can you imagine how foolish I would look doing that? But not her...she looked like she belonged in that beautiful outfit and makeup. We headed for the Pier and then to the beach. I looked over and thought I saw a tired Captain Jack Sparrow....then I put my glasses on and noticed it wasn't him after all....darn. We left Santa Monica at 5pm....and we didn't arrive to our next destination until 7:15pm. (we traveled 13 miles in 2 hours and 15 minutes). After the first hour of being trapped in the back seat with my squirrley co-workers I needed a break. So, I opened the door and got out....much to the surprise of Mr. McSteamy and Krista. "What are you doing???" came from the car. I just stood next to the car stretching my legs and replied, "what difference does it make...we aren't going anywhere!" I thought I'd flip my wig....there is no way on this earth I'd ever have that trip be part of my daily routine...not for a million tax free dollars!!! Our destination? It was the Observatory but when we got here I had enough and insisted we park the car and get out. As we approached Hollywood Blvd. from the parking structure I went into the street asking, "What's your dream?" to everyone I met....for a few minutes....don't recognize that line? I could not help myself...I was out of my mind after being in that traffic....anyone would have gotten out of the car and just did the first fun thing that came to mind. We had not walked too far down the Walk of Fame before I recognized one of those "famous" people....My son Aaron has a star on the Walk of Fame. Don't believe me? Here is the pix for proof!